As I promised yesterday, I want to show you how to style up wedge sneakers! It can be done in so many different ways - many of which will be perfect for Fall. It was so fun and easy! 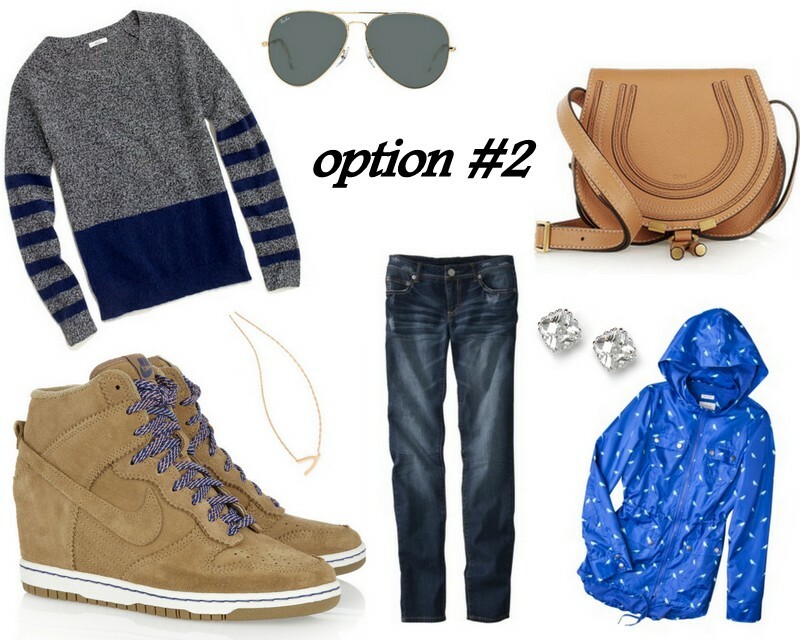 A bit sporty, a bit preppy and lastly a bit edgy-casual. Sign me up for all three!!!! Each look can easily be incorporated into your closet by using pieces you already have! I'm sold! I'm torn between #2 & 3 as my favorites! I can totally see myself wearing either and both! I know right, I would totally run around town in it!!! Love this post so much, and really want that Boys Sweatshirt!! i would wear option 3 all day, every day. I'm OBSESSED with the second look. Oh, my. I'm biased to look #2. Oh, I LOVE those outfits! And the sneaker wedges...<3 So beautiful! !